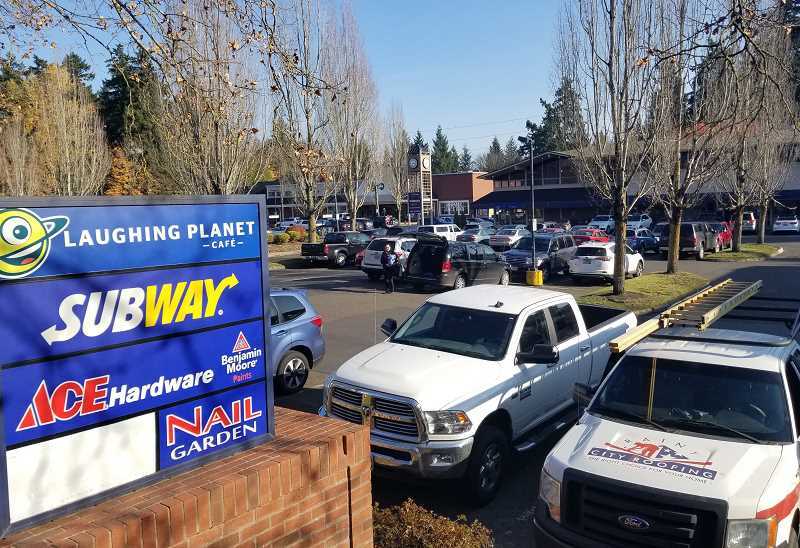 A North Carolina-based real estate investment firm has purchased the Oswego Village shopping center on State Street, with plans to renovate the downtown Lake Oswego property and fill it with new retailers and restaurants. Asana Partners purchased the five-building retail center at 11 S. State St. from California-based Terramar Retail Centers (TRC). According to the Portland Business Journal, Asana Partners paid nearly $34 million, acquiring the property free and clear of existing debt. The shopping center is currently home to Whole Foods 365, Ace Hardware, Laughing Planet, Subway, Banfield Pet Hospital, North Lake Physical Therapy and others. But it also has a lot of empty spaces; Einstein Bagels, Moonstruck Chocolate, Pizza Schmizza and others all departed in recent years when they were unable to renew their leases with TRC. Nick Kassab, senior director at the commercial real estate firm HFF, was part of the team that represented the seller. He said Asana Partners is uniquely suited to bring vitality to what has been a relatively languid retail space. "They're great retail operators. All their principals have really strong backgrounds in retail," Kassab told The Review. "I think they have some great relationships on the tenant side of retail, and they're great on merchandising." The purchase comes during a retail renaissance-of-sorts in downtown Lake Oswego. As recently as a year ago, the area was struggling with a rash of empty storefronts and an exodus of longtime businesses. But with the official opening of The Windward mixed-use development earlier this year, that trend has been dramatically reversed. Salt & Straw Ice Cream, Chuckie Pies and a half-dozen other retail shops and services have already moved in; Bamboo Sushi expects to open soon. Next door at Lake View Village, Pizzeria sul Lago and Garden Bar are among the new tenants. Lake Oswego Ice Creamery and NOLA Doughnuts draw a steady stream of loyal customers across the street. Kassab, a Lake Oswego resident himself, said he is excited to see what Asana Partners is able to do with the shopping center, which sits on about eight acres in a busy stretch of State Street/Highway 43 near the Lakewood Center for the Arts, the Lake Theater & Cafe and other amenities. "You're going to see them bring in a lot of cool tenants that fit into the neighborhood," he said. To attract those tenants, Asana Partners plans to refresh the retail center, according to Kassab, with a list of renovations that include new roofing, windows, siding, veneers and an outdoor seating area enclosed within a glass facade. "I'm selling shopping centers all over the Northwest, so to have one in your own backyard is kind of special," Kassab said. "This center has always been kind of sleepy. I'm excited to see it restored." Kassab said Asana Partners plans to begin making improvements to Oswego Village as soon as possible — hopefully within the next four months, pending City approval of plans and permits.